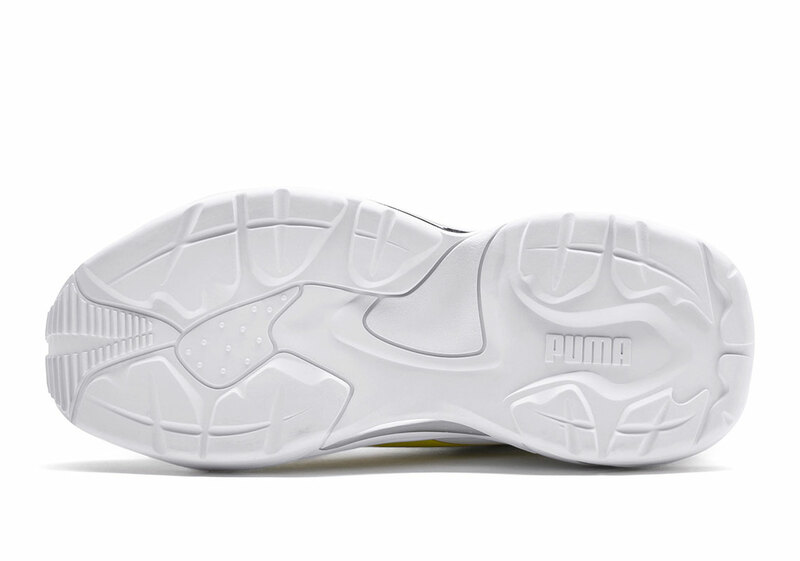 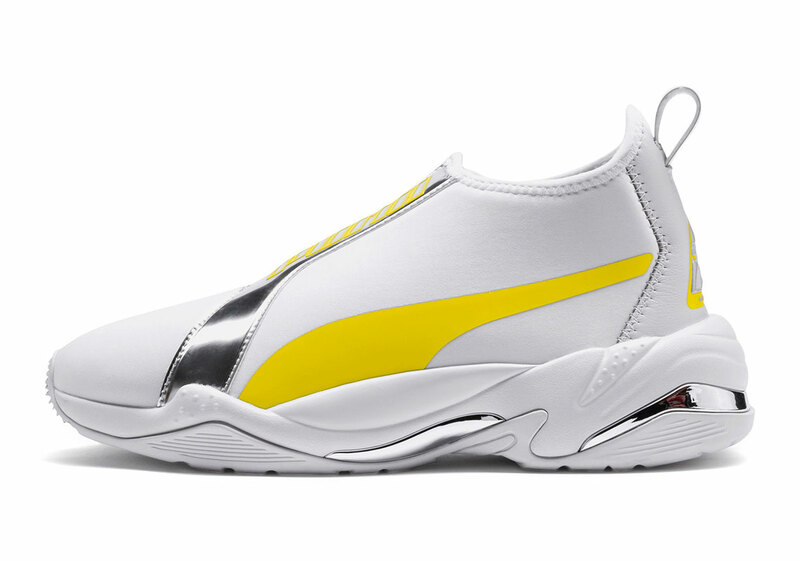 Puma’s flagship dad shoe, the Thunder, has seen quite a few modern retouches since being introduced, though none have taken the model to as adventurous of heights as the TZ Metallic, modifying its uppers to a midtop height while forgoing a traditional lace unit for a taped zipper. 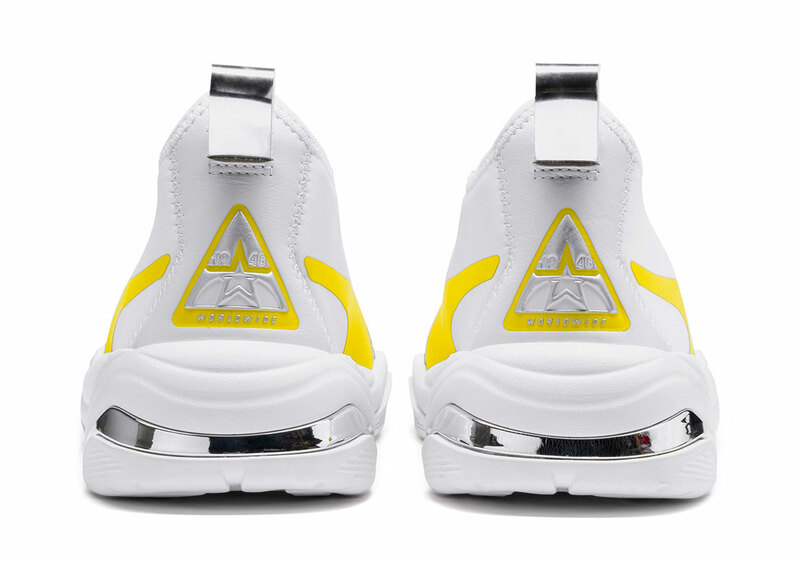 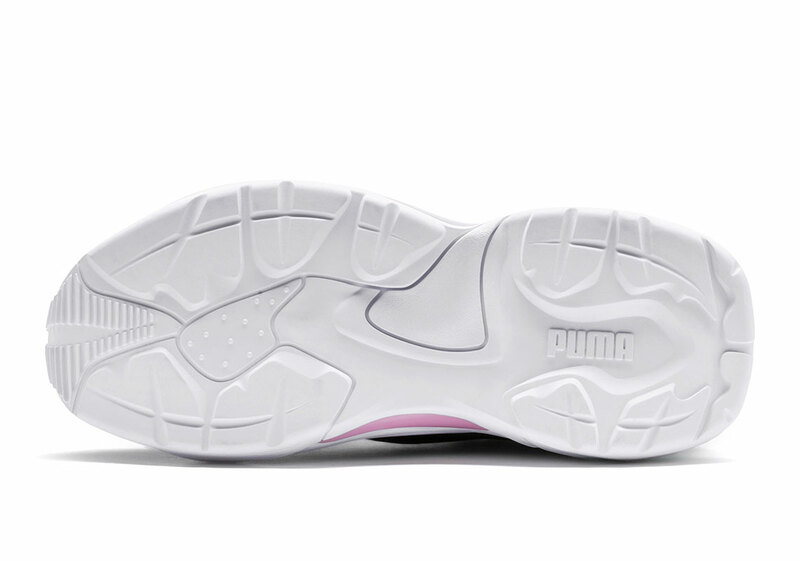 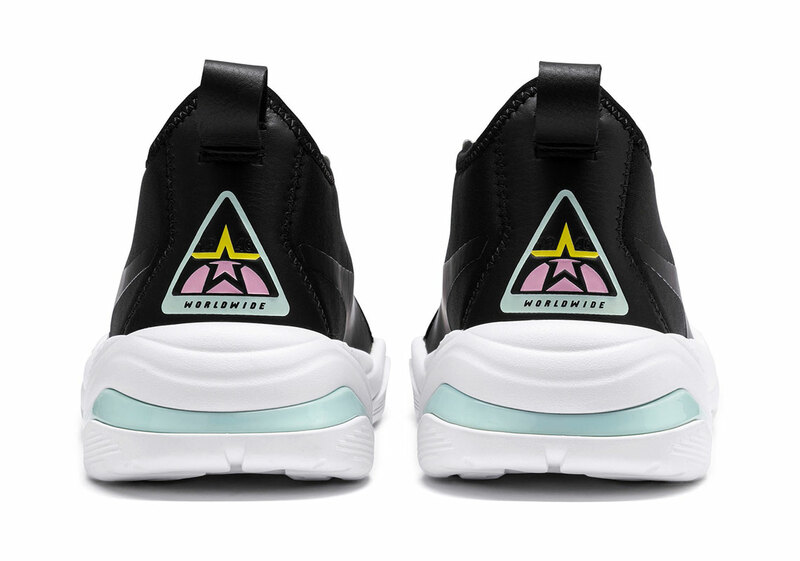 Aggressive sole units return to maintain continuity between older edition while the rest of the kit stretches the original template to a more eclectic realm, connecting two pairs — one of a bright White/Blazing Yellow and the other a more toned down Black/Pale Pink — under the same shimmering theme. 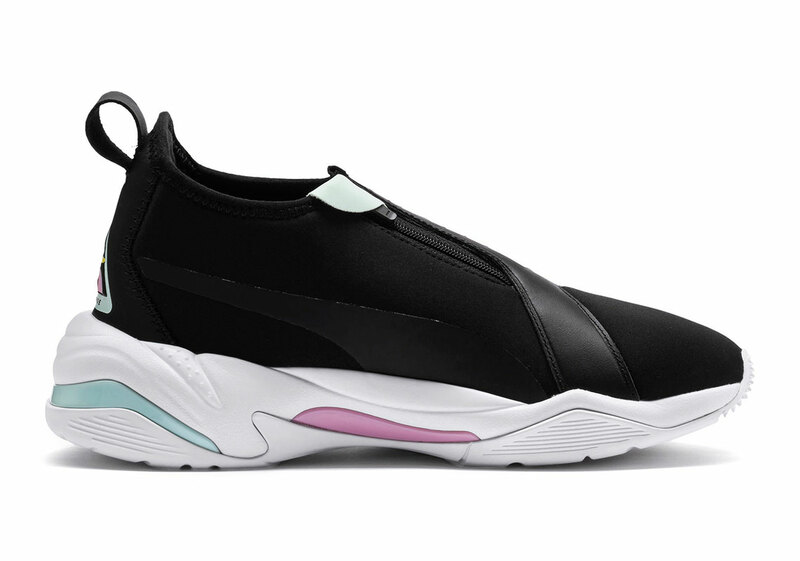 Form stripes dash across both the lateral and medial depending on colorway with a shimmering plate forming overt separation across the entire vamp. 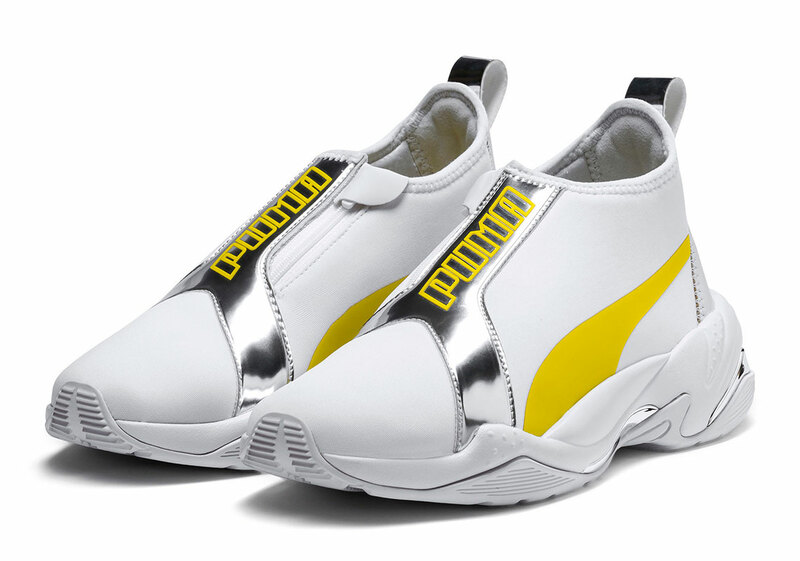 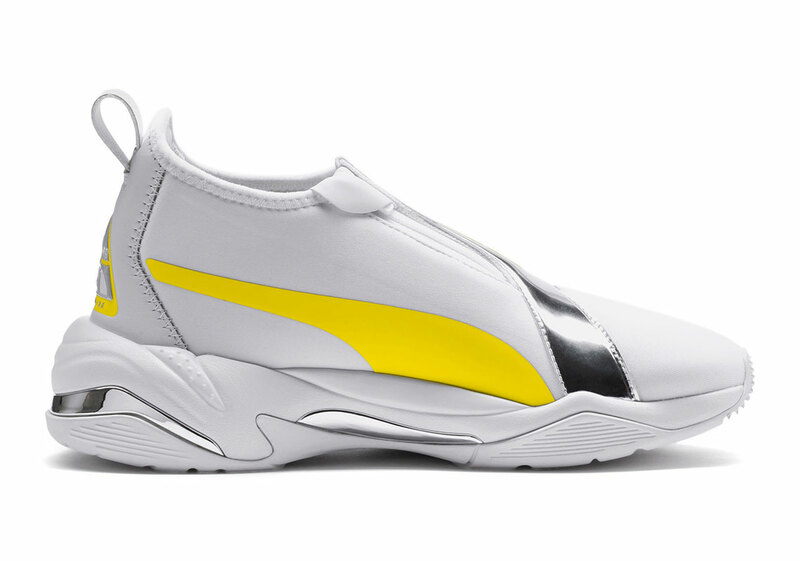 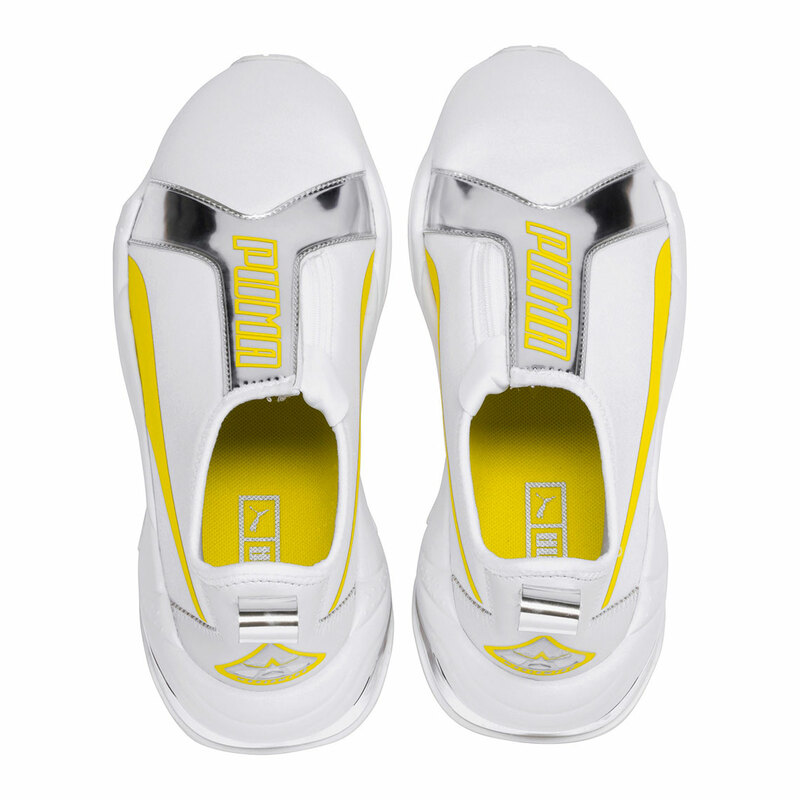 “PUMA” in big bold letters as well as the retro-esque iconography found on the heel blend retro design into what is a forward-thinking arrangement. 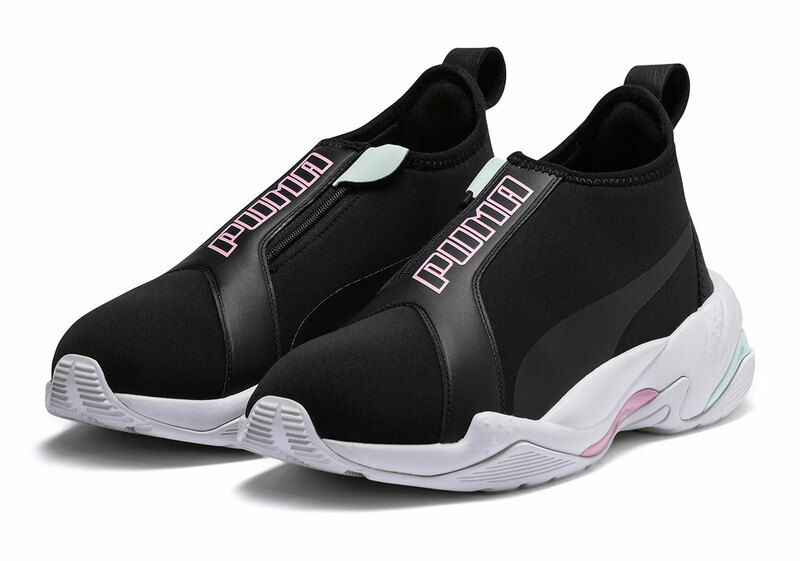 If you’re interested in grabbing either of these women’s pairs, they’re currently available now at Puma.com and select retailers. 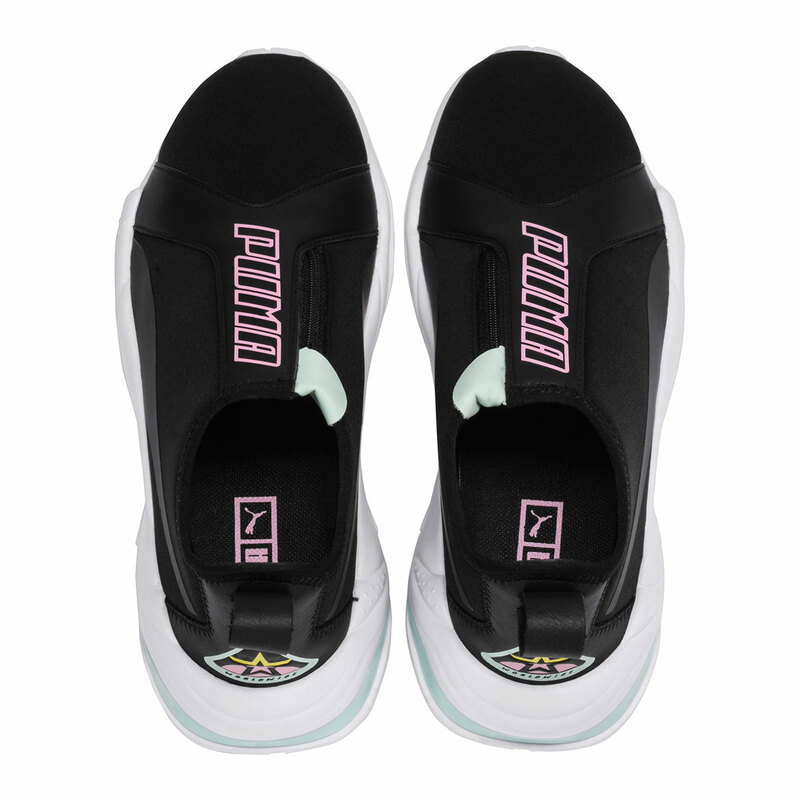 The post Puma Releases A Mid-Cut Version Of The Popular Thunder Silhouette appeared first on Sneaker News.